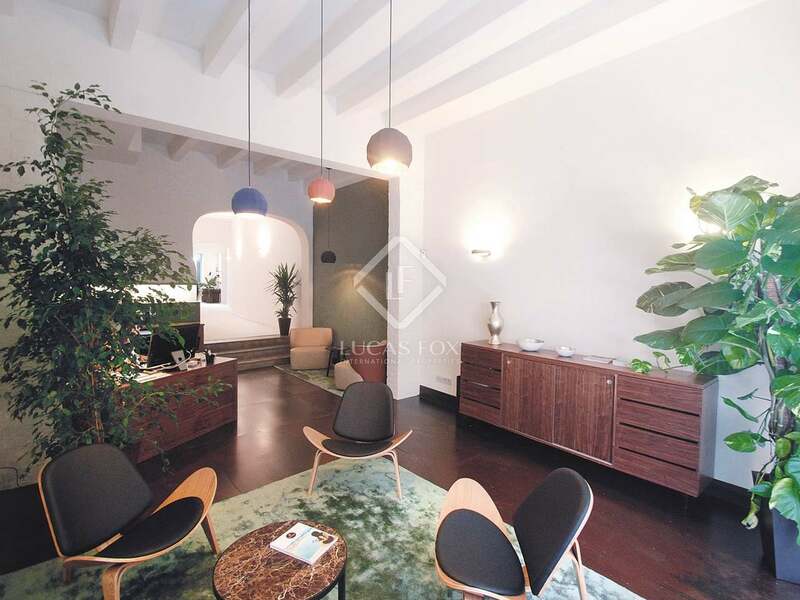 Opened in 2014, the Lucas Fox Sitges office now boasts an excellent selection of Sitges real estate for sale, including a wide range of property types to suit each client profile. Our highly professional multinational team will accompany and assist you when selecting from our catalogue of impressive properties and can attend clients in Spanish, Catalan, English, Dutch, French, Portuguese and German, offering in-depth knowledge of the area and its property market. Sitges is a cosmopolitan, vibrant seaside town with a strategic location between the Garraf Natural Park and the Mediterranean Sea, just 40 kilometres from Barcelona City. 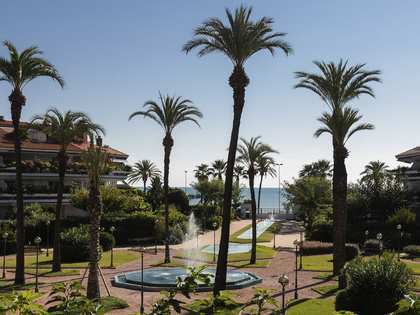 Well known for its beaches, gastronomy, nightlife hot spots, golf courses, marinas and historical sites, the focus in Sitges is on offering quality infrastructure and high level tourism, making it a first class holiday destination as well as an excellent place for long-term relocation and property investment. The area enjoys an enviable microclimate with 300 days of sunshine per year, making it the ideal place to enjoy the beach, sailing and golf. It has become renowned for its bustling international atmosphere with events and activities held all year round including the world famous Sitges annual film festival and the colourful carnival celebrations, which are both important events on the town’s cultural calendar. Many come to Sitges to enjoy the gay friendly scene and the wide range of nightlife options available here. 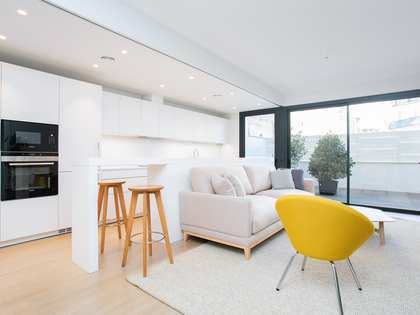 Its proximity to the airport and Barcelona City and the excellent international schools in the area are other factors that make this a convenient location for international visitors and residents. At the Lucas Fox Sitges office we specialise in property in the town of Sitges including the centre, Terramar and Vinyet, undoubtedly the most coveted locations, where services abound and where we find the wonderful long stretch of sandy beach with clean, clear shallow waters and an attractive seafront promenade. 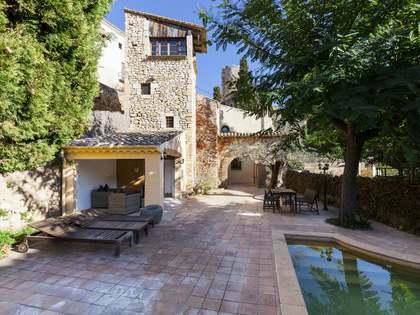 We also specialise in property in the exclusive residential areas of Can Girona, Can Pei, Vallpineda, Quint Mar, Montgavina, Levantina, as well as in Sant Pere de Ribes, (Puigmoltó, Els Cards, Mas d’en Serra) Canyelles and Olivella and more specifically Mas Mestre as well as Garraf, further up the coast towards Barcelona (Rat Penat, Botigues de Sitges). 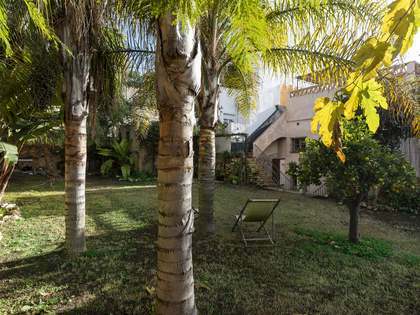 As well as apartments and townhouses in Sitges centre and on the seafront our property portfolio includes masias and vineyards in Alt and Baix Penedés, Tarragona, Barcelona Inland (Baix Llobregat). Houses with sea views, close to international schools and nature are in particular demand. Our typical client portfolio includes international families relocating to Sitges or its surroundings to enjoy the excellent quality of life here, gay couples looking for a home in Sitges centre, local clients searching for a primary or second home by the sea and investors seeking properties to rent out to tourists with guaranteed high returns. Our talented and experienced agents seek only the finest Sitges homes for our discerning clients, with a particular focus on location and exclusivity; always taking time to understand each individual client’s preferences and requirements in their property search in order to provide a bespoke service and guarantee complete client satisfaction. Feel free to contact us at the Lucas Fox Sitges office today to begin your exciting property search in this vibrant coastal area.